Feel free to copy and paste the below messages and images into social media posts or emails to spread the word about our #GivingTuesday campaign. We appreciate your help! Join the worldwide #GivingTuesday movement by giving the gift of dance this holiday season! Visit www.syzygydanceproject.org/givingtuesday18 to donate to @Syzygy Dance Project outreach programs today. 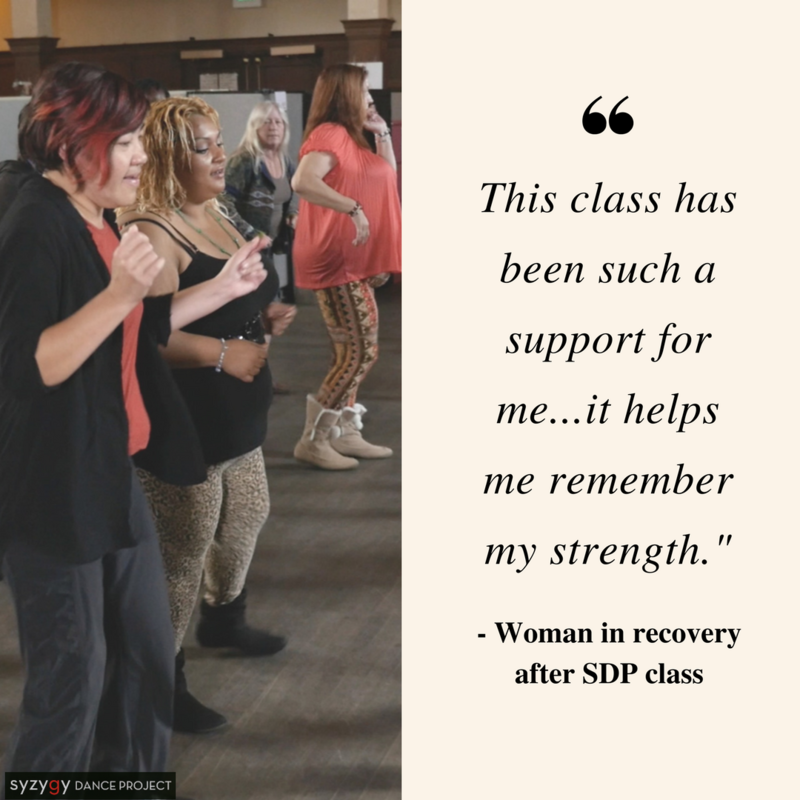 Give the Gift of Dance to veterans, transgender inmates, and women in recovery for #GivingTuesday 2018. Support @Syzygy Dance Project outreach programs today at www.syzygydanceproject.org/givingtuesday18! #GivingTuesday is TODAY! You can be part of the celebration by giving dance to the underserved communities Syzygy Dance Project serves. Support the power of movement at www.syzygydanceproject.org/givingtuesday18! Haven’t done your holiday shopping yet? Shop online as usual via Amazon AND support @Syzygy Dance Project outreach programs by going through this special Amazon Smile link: http://smile.amazon.com/ch/27-2215103 (no cost to you - they’ll donate .5% of your total purchases).